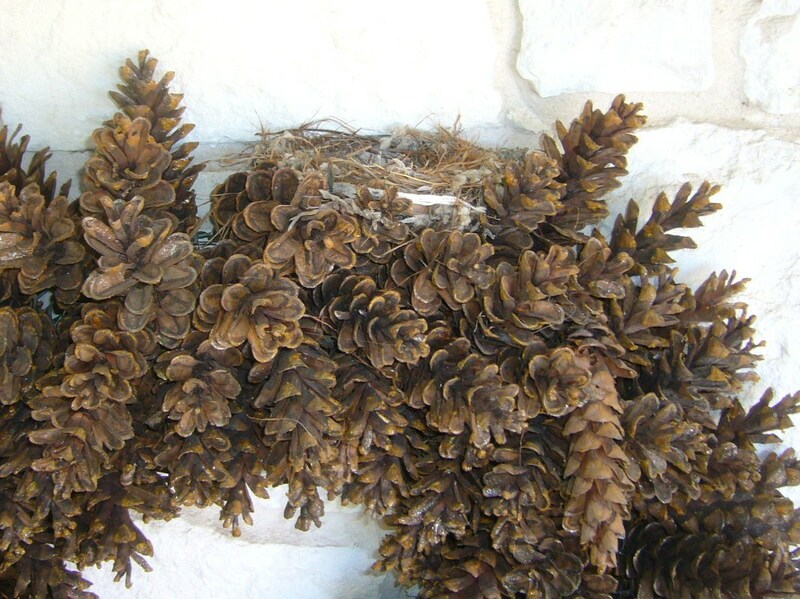 Over the years I have used pine cones to decorate with during the holidays. I have also used them to create different things. 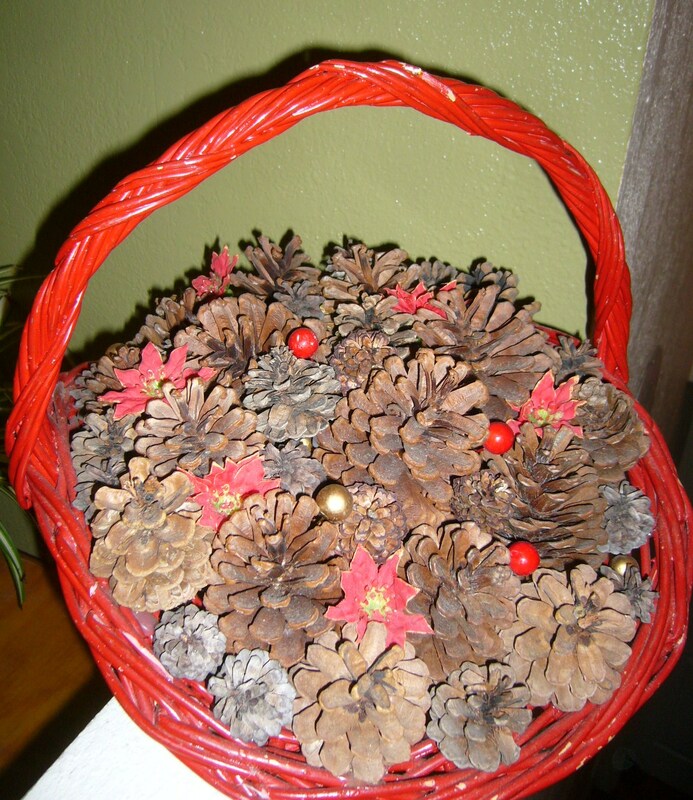 A simple basket of pine cones was always nice sitting on the fireplace hearth. Oh, but how much more fun to make a basket of pine cones with a string of white holiday lights. BUT WAIT – why not add some nuts too! Just let the creative juices flow. Take inspiration for seeing things around you. I always have had fun with that. Around the same time I was making lighted pine cone baskets I started making pine cone wreaths. Now that was a truly messy project. My mom still has had several of these wreaths and uses them every year. Somehow I ended up with none until just last year and I promptly hung it up. 1990 – Seriously? Wow, that is 20 years ago. Really? wow! I didn’t realize it has been that long. These wreaths were a lot of fun to make and I am happy to finally have one to hang. I must admit that I hung this one last Christmas season and I just left it there. 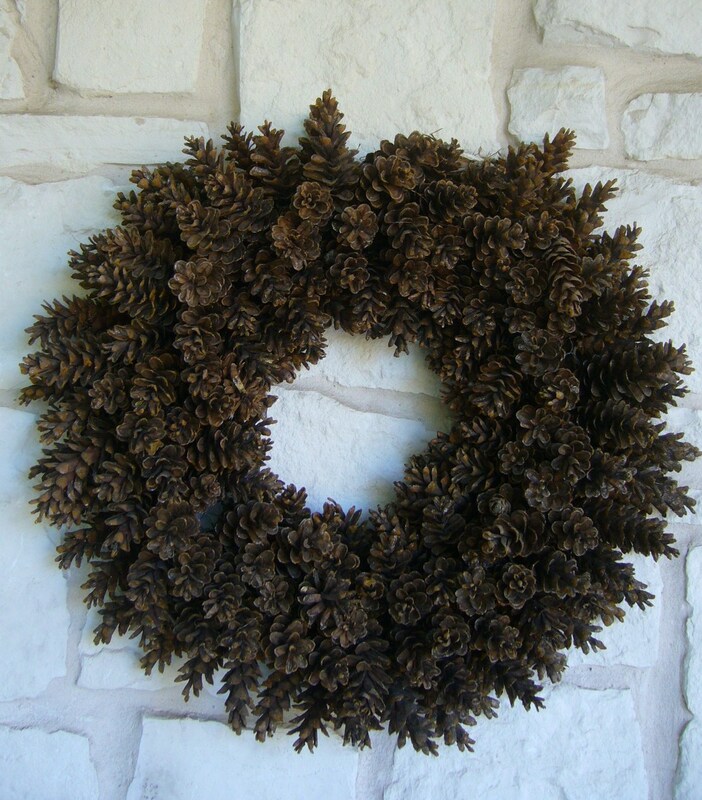 Sometime last spring I noticed a few pine cones on the ground and went to put them back into the wreath. But a little feathered friend had something else in mind. A little surprise at the top! That sure is a nice place to build a nest. This entry was posted in Homemade Holiday, Projects. Bookmark the permalink. That pine cone wreath is just gorgeous. And the bird’s nest! How cool! Thanks! I really had fun making them all those years ago. I am so glad to finally have one to hang up. The bird’s nest was a plus.